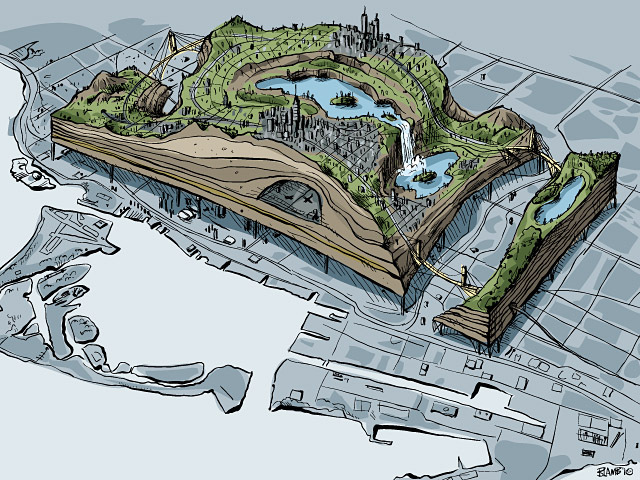 A Canadian project that imagines re-designing Toronto in the sky. Echoes of ‘New Babylon’ for the 21st century. Carried out by ‘Small Wooden Shoe’ a ‘(mostly) theatre company’.